Intel has revealed a major focus towards AI development as it looks to push towards new areas of computing. The hardware giant is set to pursue, "a new era of data-centric computing" through development of its Xeon chips as it moves away from its traditional PC focus. The company revealed that Intel's AI-focused Xeon processors brought in $1bn in revenues during 2017, with the company boasting customers such as Google, CERN and Huawei. 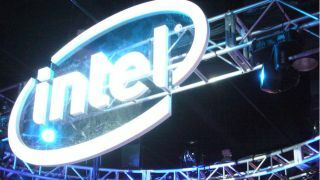 Intel says that it now expects that potential revenues for its "data-centric" businesses could reach $200bn by 2022 as a smarter and more connected world generates more data than ever before. Speaking at the company's Innovation Summit in Santa Clara, Navin Shenoy, executive VP and GM of Intel’s data center group, highlighted the move towards the new era. He revealed that new breakthroughs mean that Intel chips have seen a 200x improvement in AI processing since 2014, with more to come soon. Shenoy highlighted that the company is hard at work putting the final touches to its new Cascade Lake platform, set for launch later this year, as well as its future Cooper Lake and Ice Lake releases - the latter of which is Intel's first 10nm release. "The proliferation of the cloud beyond hyperscale and into the network and out to the edge, the impending transition to 5G, and the growth of AI and analytics have driven a profound shift in the market, creating massive amounts of largely untapped data," he said. "To help our customers move, store and process massive amounts of data, we have actionable plans to win in the highest growth areas, and we have an unparalleled portfolio to fuel our growth – including, performance-leading products and a broad ecosystem that spans the entire data-centric market."